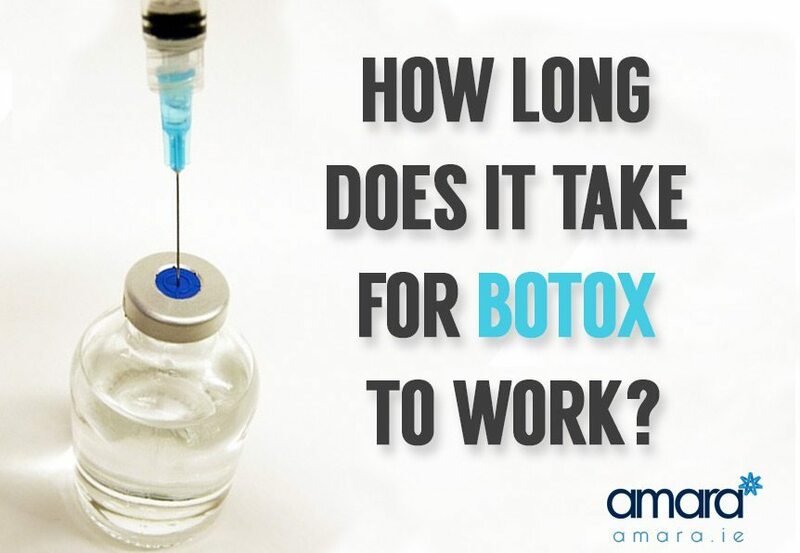 At Amara, we care a great deal about informing our clients on how to use Botox safely and effectively. This assures that you maintain a completely natural look while the anti wrinkle injections work their magic. There are many different botulinum toxin products on the market, but we use the original Botox® Cosmetic by Allergan. The procedure is fast and painless, but we’ve still set important guidelines in place regarding how often our clients should have injections. We recommend a two-week waiting period between injections for the best results. There’s often confusion about how long it takes for the full effects to be seen on the face after injections. It’s natural to want to see results immediately, but the effects take a few days to become visible. Even if you won’t see results right away, there are no side effects to treatment, and nobody can tell that you’ve just had injections. You can slip back into work or carry on with your life as if nothing happened. But the treatment is fast-working: In most cases, 80 to 90 percent of the injection’s full effect is visible after a window of four days to a week. Sometimes the injection works even faster, after two to three days. But realistically, patients will need to wait two full weeks to see the complete effect of the injections on their wrinkles. The last 20 percent of the injection’s effect may come in during those final days, and the last thing we want is to overdo it, which could leave the face looking stiff and swollen. But since you won’t need injections more than a few times a year to maintain your skin, you shouldn’t have a problem waiting a few weeks to see the full effects of one treatment. For more information about how long it takes for botox to work make sure to watch the video below. If you’ve any questions about our services or treatments then get in touch now and UK based clients can visit us at www.amaraskin.co.uk. I’ve had Botox injections for the forehead frown done 2,5 days ago, but I can still frown for a 100%. Also, it doesn’t feel my muscles are getting any weaker.. Should I ask for a top up, or can the Botox still kick in after so many days? If the clinic you had your treatment in uses the original Botox® by Allergan then it has not fully kicked it yet. At 2 weeks the product will have fully merged with your body. I hope this clears things up for you! Just got Botox for the first time , today it’s been five whole days since I had it done. I still have full movement of my forehead and the wrinkles look the same. The lady said she put a lot in but it doesn’t seem to have had any effect whatsoever. Should I not be seeing some results yet? Does it suddenly kick in in one day so I could be frozen tomorrow? Or is it a gradual thing where I’m meant to see something by now? Hi Ruby, We would advise that you went back to the clinic where you had your treatment. At Amara for your first treatment, we would use the minimum dose and then top up if needed at your first free review. However, I would just advise you that anti-wrinkle injections can only be performed by a doctor or dentist. Here in the States, Registered Nurses CAN do injections and they do a great job. Hi, I had my first Botox injections done 1 week ago, and still don’t see any difference, I thought I would see some change but still nothing? You don’t want full frozen face. It’s ugly. It’s not a look we aspire to. Some people want it but it’s not our treatment philosophy. Natural, subtle results that last – this is the Amara way. Headaches are a common enough side affect of anti-wrinkle treatment. There is no need to worry. There is no reason for you to sleep on your back to avoid pressure to the face when it comes to anti-wrinkl injections either. For some filler treatments this may be recommended. I had some Botox on my forehead (not much) by a good dr a week ago. My forehead is looking good, but I’m quite concerned. My tongue has had a burning sensation starting the day after I had by Botox injections. I started researching online (which I wish I wouldn’t have done) and I’ve seen loads of Botox horror stories about how it’s spread for people and how it’s even spread to people’s throats and killed them. I’m so anxious now for this next week to pass and I’m even getting panic attacks. Is the burning tongue and panic attacks a normal symptom? There are several common side-effects to botox. Personally, I have not heard of this one but I wouldn’t panic – the internet is a weird place. The doses used in facial aesthetics are minute – much higher doses are used in infants to treat spasticity with no ill-effects. Perhaps give our clinic a call on 01 676 1074 and we can have a chat or call the clinic where you were treated you and ask them. Hi, I’ve had Botox just 2 weeks ago and while I have seen a difference I still have some wrinkles and lines which I expected. However one of my eyebrows is now higher than the other and I am worried about this. I’ve made an appointment for my review but am anxious it could be made worse. Also I have an family event the day after my review and so am wondering also how quickly these injections will take to work .Will they be quicker than the 2 weeks? Should I postpone my appointment till after my family event. I’ve checked our records and see that you weren’t treated at Amara. It’s best you give the clinic you were treated at and have a chat with them as they’ll have your treatment records. What I can say is there will always be a lag time of onset with botox due to its mode of action. Small corrective procedures can be performed to even up your eyebrows but it will take time for the effect to take change.